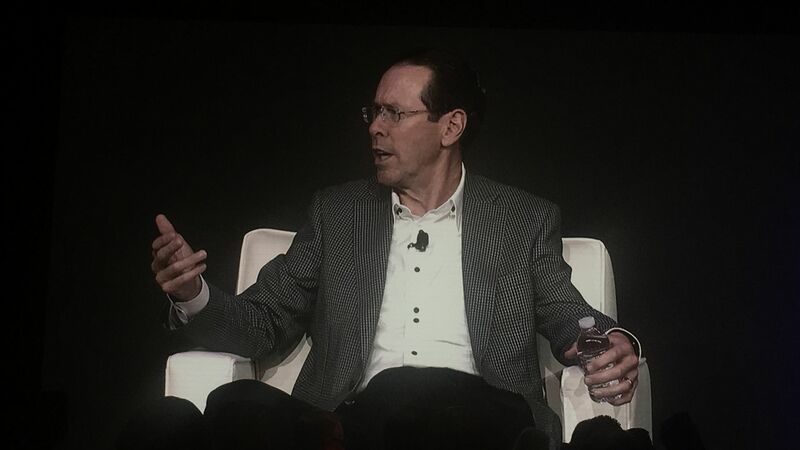 AT&T CEO Randall Stephenson says he hasn't seen any indiction that President Trump's dislike for CNN will impact future AT&T deals or regulation, explaining at the company's Relevance Conference Tuesday, "so far we've seen no evidence that that's the case... the contest is over and it seems that everybody is moving on." Why it matters: President Trump's opposition to AT&T's historic $85 billion deal to acquire Time Warner was met with criticism due to his outward distaste for CNN. A sitting U.S. president is not supposed to meddle with regulatory affairs at independent agencies like the Justice Department. "One thing everyone must concede is that this president, when he makes a commitment, he tends to follow through with it." Asked about his personal feelings on CNN and the press, Stephenson doubled down on his commitment to freedom of the press and said CNN was good for business. "More freedom of the press holds the government accountable ... The full weight and resources of AT&T will be committed to protecting 1st Amendment rights wherever our people operate." "News is one of the areas we want to be very prominent... This is a business area, live premium content, live sports and news." Stephenson, who is now getting into the media business with the acquisition of Time Warner, says the media industry has been too slow to innovate. Citing previous experiences at corporate giants like Boeing, he says he's been surprised by how reluctant the media industry is to adapt. "I don't think they move at all," calling the media industry "very slow." The AT&T chief also dished on some of his views on privacy, advertising, and the future of HBO. He argues that TV ads need to get smarter: "I think advertising is really smart in half of the world. The digital half is really good, it's very targeted... If you look at the [TV side] premium video, it looks nothing like that. The advertising is not incredibly targeted... We actually believe that if you can make the premium video side behavior, look, operate like the video side that people will invest more." He says expect more capital to be allocated to HBO slowly: "We're not trying to make HBO into Netflix... We're all competing for customer engagement... I do believe it's going to require a little more investment." Stephenson said we need national regulation on privacy and he suggested that we need one regulator to oversee it. "In my opinion, the FTC [should regulate it.] They have the tools. You own it, you regulate it and set one set of rules."